From Cantele in the Salice Salentino region of Italy comes this delicious rosso riserva made from 100% Negroamaro grapes. 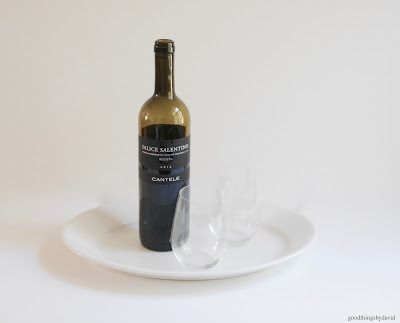 Cantele's 2012 Salice Salentino is such a smooth and delicate wine that pairs well with a bevy of pastas, chicken dishes, and red meats. The well-balanced tannins and acidity in this red wine are enhanced with notes of caramelized red fruits and spices. Pair this wine with a hearty bolognese pasta, a simple baked ziti or even a tasty shrimp arrabbiata. 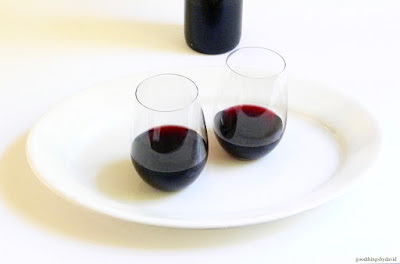 The wine would also do nicely any night of the week when eating your favorite cacciatore packed with tomatoes, mushrooms, olives and succulent chicken (you can even add a splash of it to the sauce!). You can pour the negroamaro into delicate stemware, or you can enjoy it in stemless glassware like we do at home for more informal occasions. Apples are in season and so are desserts made with them. If you're in need of a scrumptious apple cake that tastes of seasonal spices and fresh apples, then look no further than this bundt cake made with unsweetened applesauce and a good amount of cinnamon and ginger. 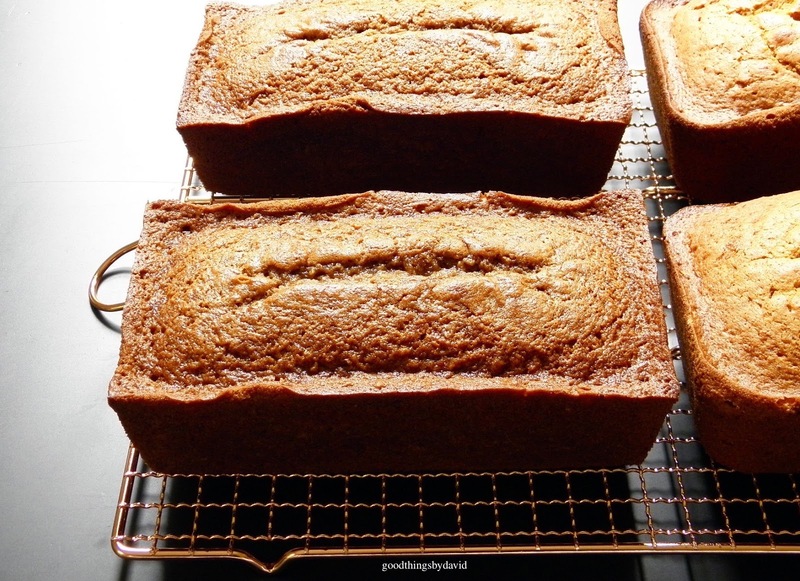 The recipe has been adapted from one that I enjoyed many years ago, and it's been a favorite with people around town who have since tried it. 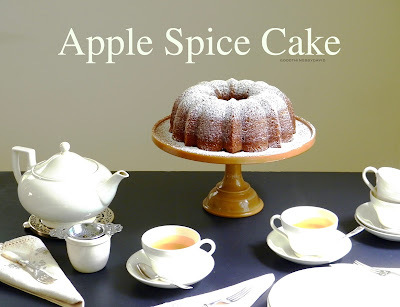 I'm already getting requests for apple spice cakes because the results are that good! This style of cake is just the thing to have on hand if you expect company over for the afternoon. 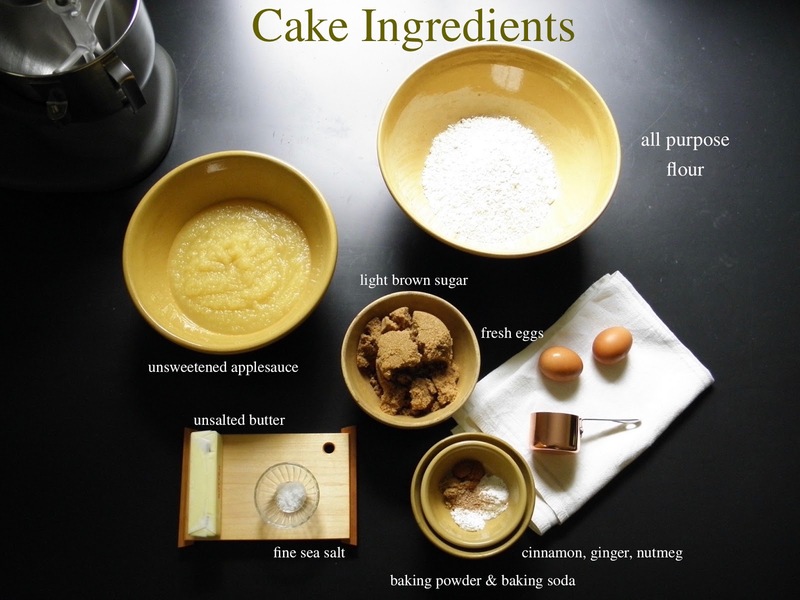 Because the tender cake keeps so well, you can bake it a day ahead and serve it whenever you sit down to tea. 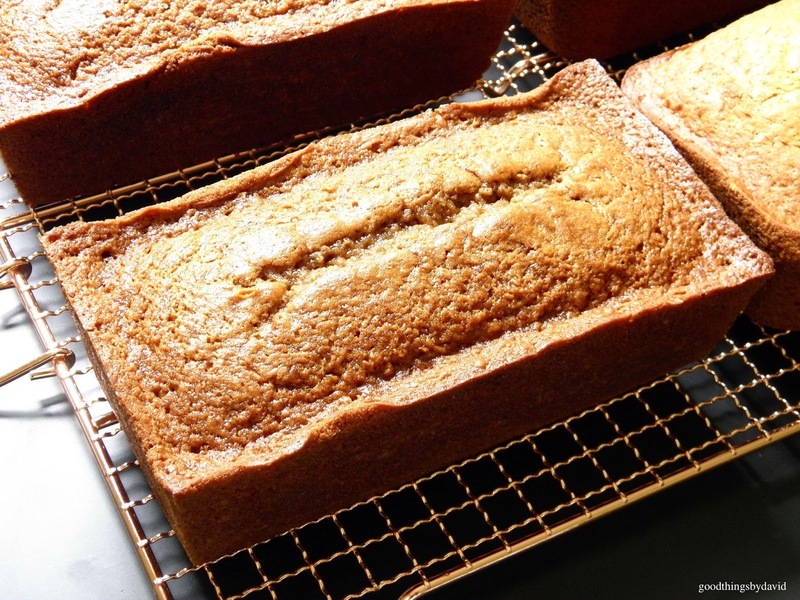 What's great about the batter is that it can be baked in just about any pan. I love making large, shapely bundt cakes, but every once in a while, a loaf or even a set of muffins will do. Carefully measure out your ingredients and preheat your oven. It's a good idea to have everything in place and ready to go before you begin mixing the batter. Don't buy presweetened or flavored applesauce, because it won't combine with the spices of the recipe well. Unsweetened works best. 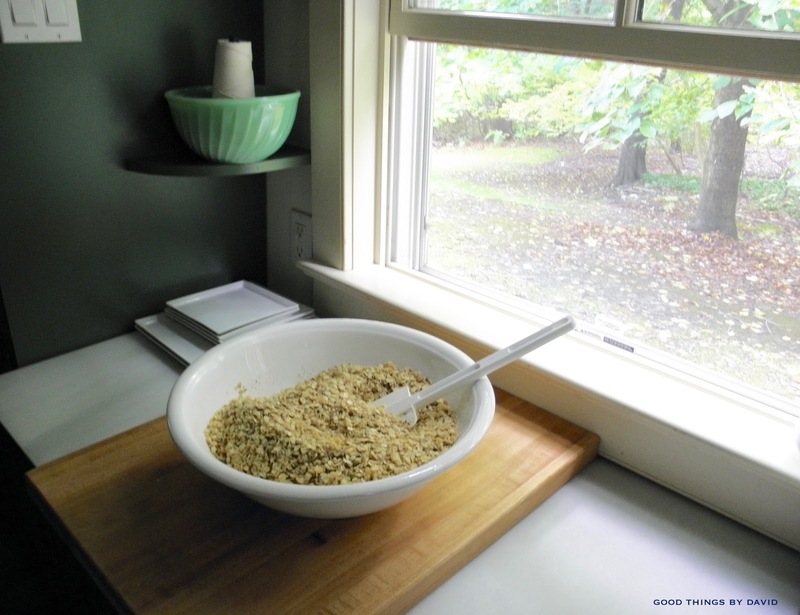 If you have your own homemade applesauce, even better! 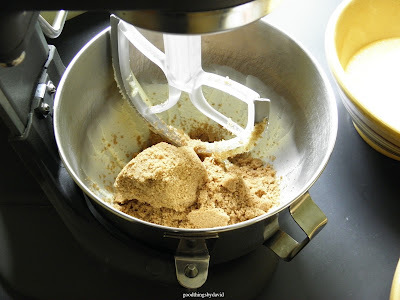 Check your light brown sugar for any crystalized lumps and remove them. Straining the sugar through a sieve should do the trick. Also, it's a good idea to sift the spices into the the all-purpose flour to remove any bits. If you don't have one of these paddle attachments with the wiper blades for your stand mixer, look for one that's right for your model. It is a timesaving tool to have so that you don't have to constantly stop to scrape down the bowl of the stand mixer. After you've creamed the butter, sugar, salt and the eggs, alternate adding the dry ingredients with the unsweetened applesauce. 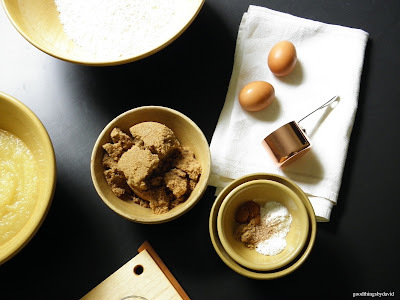 Remember to always begin and end with the flour mixture. I love using my collection of yellowware bowls this time of year. They're great for mixing batters. 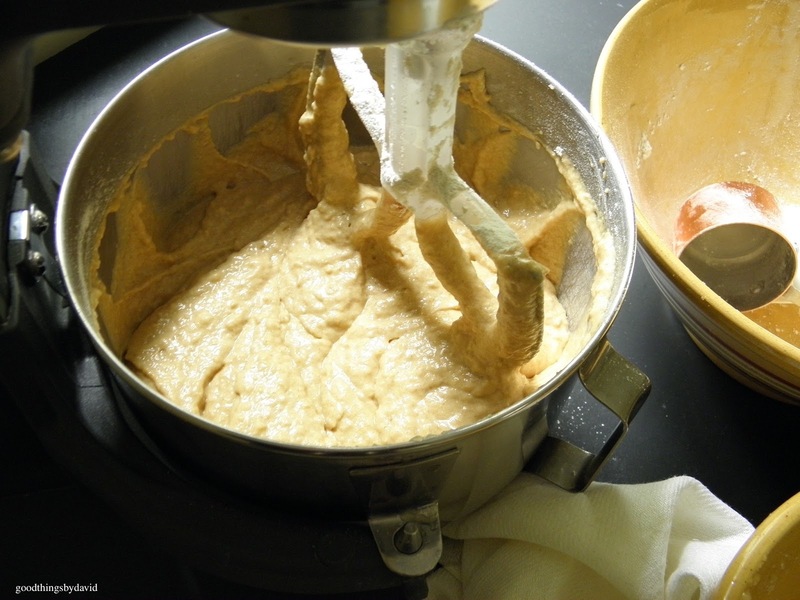 This is what the finished batter should look like. It is rich and thick. 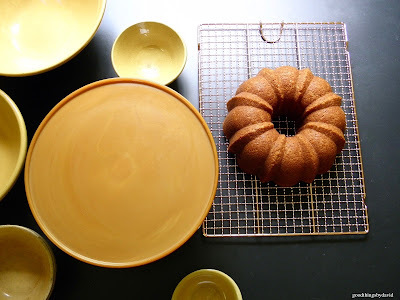 Pour and scrape the batter into either the 12-cup bundt pan or into two 9"x5" loaf pans. 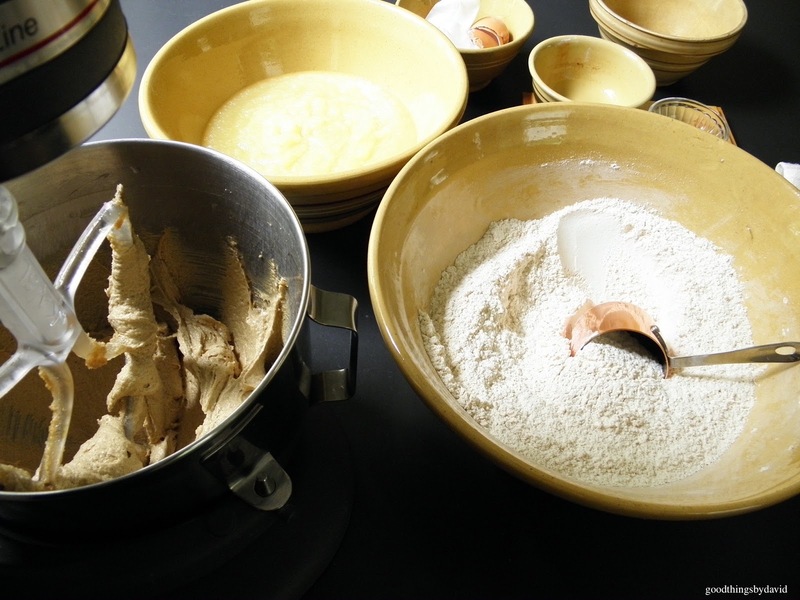 Make sure that you've prepared the pans before adding the batter. Bake the spice cake until a toothpick inserted into the middle of the cake comes out clean. Choose a pretty stand or plate to serve it on. This large caramel glass cake stand is one from a set of Martha by Mail. They were made by the L.E. Smith Glass Company of Pennsylvania. 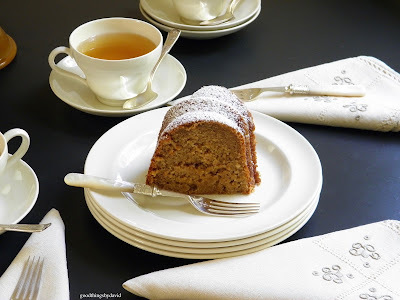 Here is a slice of my apple spice cake dusted with a bit of confectioners sugar. A cup of tea is all you need to accompany it. The cups, plates and teapot are vintage Wedgwood Queen's Ware. 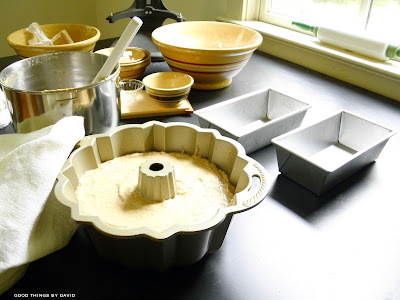 As I said, you can bake the batter in two loaf pans if you wish. 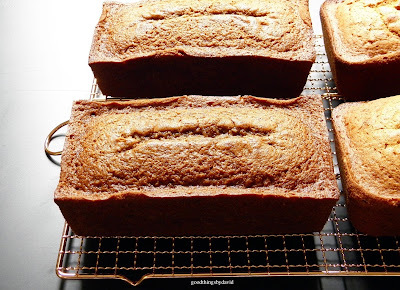 These can be served as is, dusted with some confectioners sugar or you can drizzle a milk glaze spiced with a bit of cinnamon if you feel so inclined. 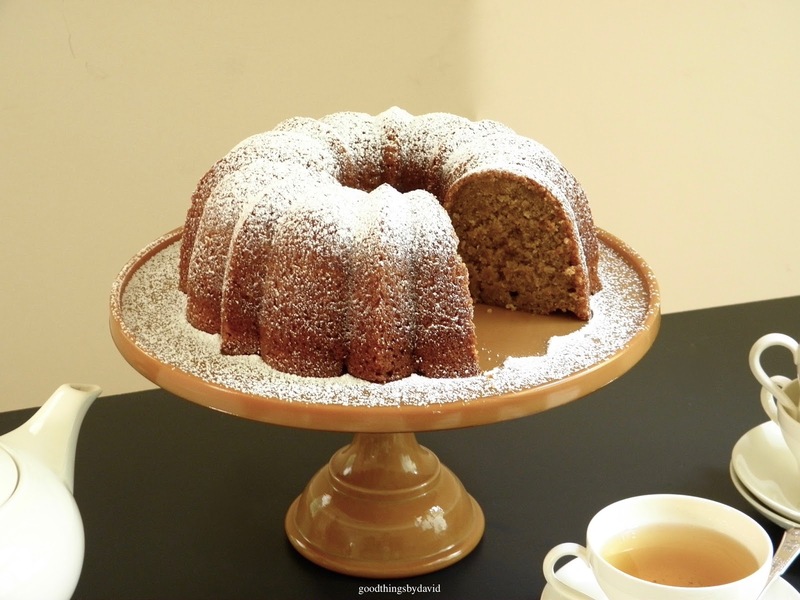 Whether you bake the apple spice cake in your favorite bundt pan or loaf pan, be sure to keep enough ingredients in your pantry to quickly begin another batch in the near future. I have a feeling you may want to return to this recipe once you enjoy your first slice. Keep any leftovers under a cake dome at room temperature, if you have any, but chances are there won't be a crumb left. You may not be thinking about the cold months that are fast approaching, but now is the time to begin preparing our homes for the seasons ahead. 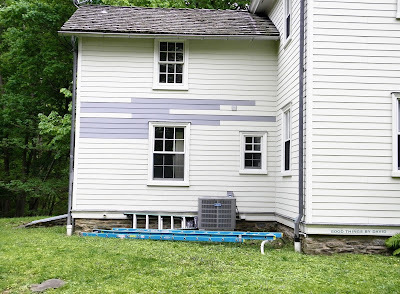 There are a few things that we do for our old colonial house each and every September, so that we are better prepared for saving energy and money during Fall and Winter. 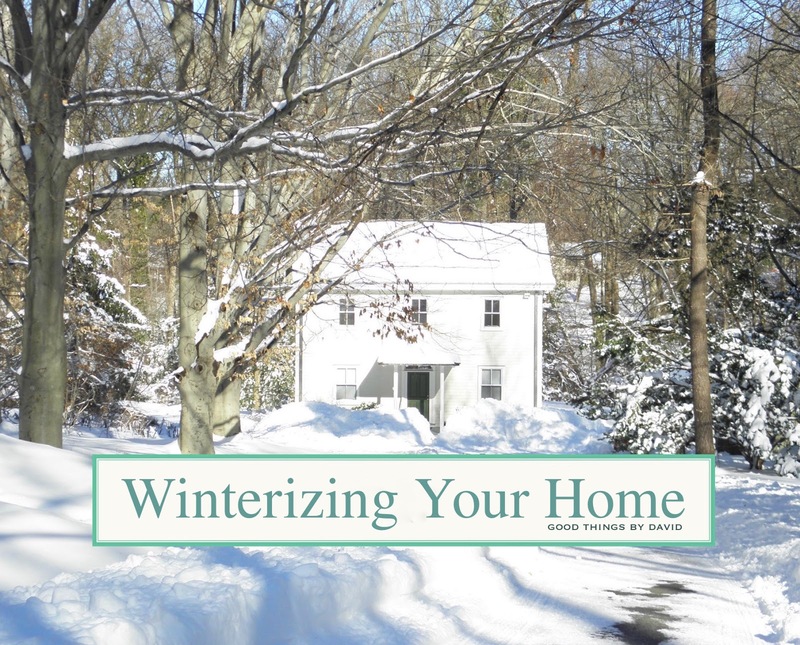 Winterizing one's home is a matter of making some appointments, checking a few things and fixing what needs to be fixed before it's too late. It's a good habit to get into every year, especially if you happen to live on the east coast where temperatures can dip to below freezing from one week to the next. Having your home prepped and ready for shifts in weather will be much appreciated by your family and your pets, as well as your wallet. 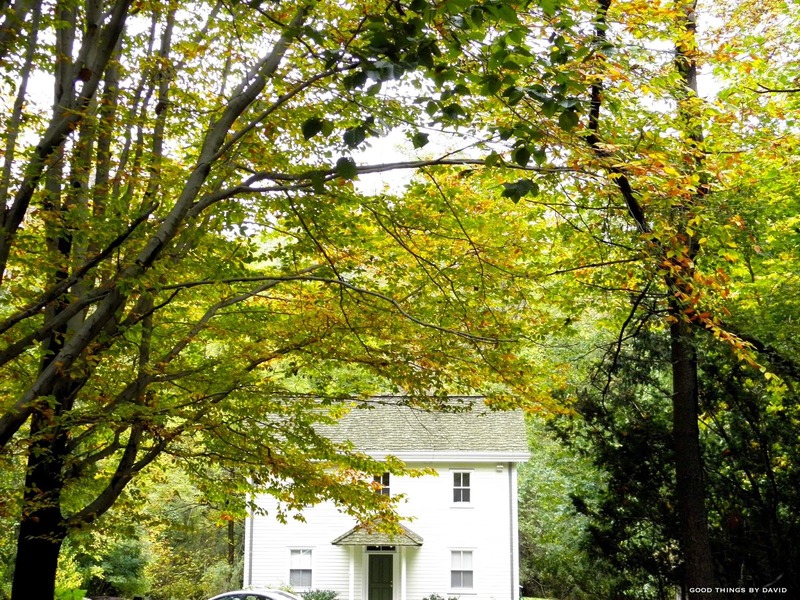 Go through this checklist of tips and begin scheduling that heater tune-up. Plan a visit to your local hardware store to pick up a few supplies and get your home prepared for the months ahead. Heating System: give your heaters a tune-up and have them checked by a professional, by replacing filters, vacuuming the entire system and running the heater several times to make sure it's fully functional. Make any necessary repairs. Storm Windows: if you have old, drafty windows, it's a good idea to install storm windows to protect your house from the cold winds & temperatures of Fall & Winter. Newer windows have a double-paned construction which provides adequate insulation. 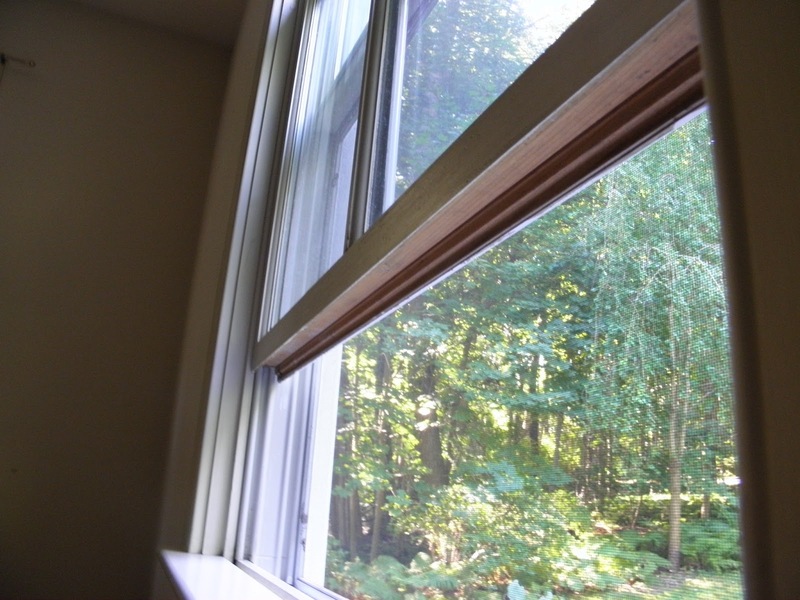 Window Insulation: open all of your windows and check the undersides for proper weather sealing. Strips of insulation can easily be cut and applied for a snug fit if you find that your windows are lacking any weather stripping. 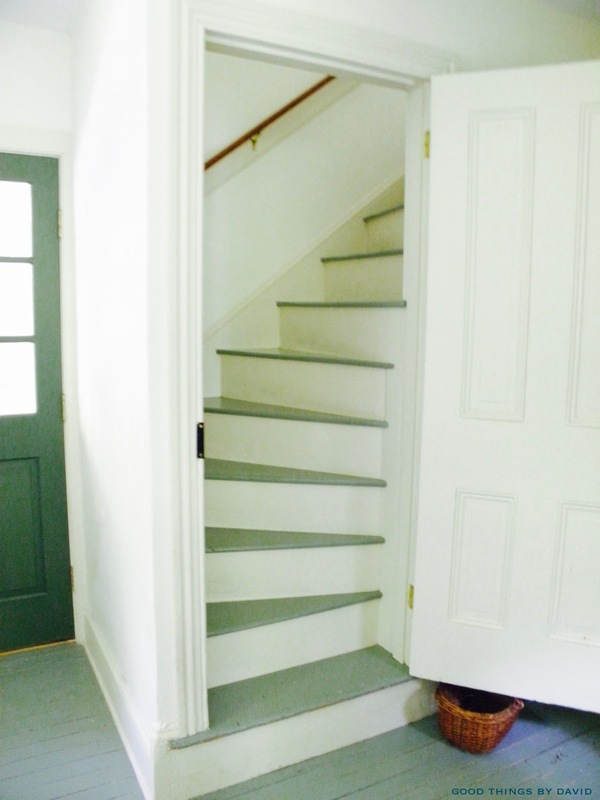 Door Drafts & Insulation: check every doorway of your home for drafts or for any shifts which might make a doorway drafty. Make necessary adjustments. 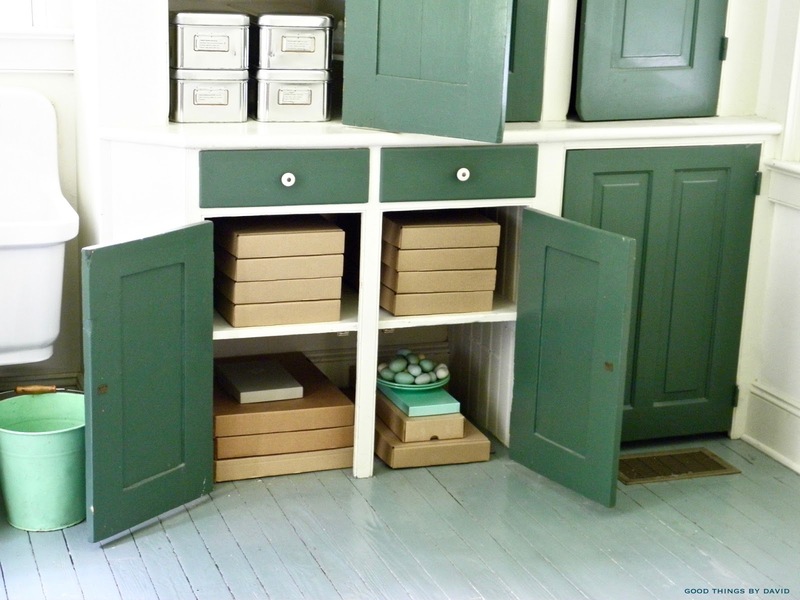 If your doorways are still drafty, place draft-stoppers where they are needed. Clean Your Drain Spouts & Gutters: this is important during the Fall when all of the deciduous leaves begin to come down. If you have exposed gutters, do this several times during the Fall, and consider installing a wire-mesh ball at the entrance of each spout. 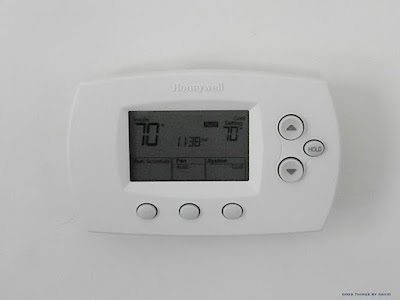 Program Your Thermostat: if you have a dial thermostat, it may be a good idea to upgrade to a digital thermostat so that you can program it. This is especially important if you're away during the day or if you leave on vacation. The last thing you want is to experience frozen pipes while you're away. Reverse Your Ceiling Fans: change the direction of the fan's rotation and operate it on low speed in the clockwise direction. This will create an updraft and redirect the warm air along the ceiling back into the room. Last year, we did an inspection of all of our windows and found that a couple of them were lacking in weather stripping. Do you see the exposed wood on the underside of this window? That is not what you want your windows to look like. Buy this self-stick weather seal and cut it to size so that it fits underneath your window(s). 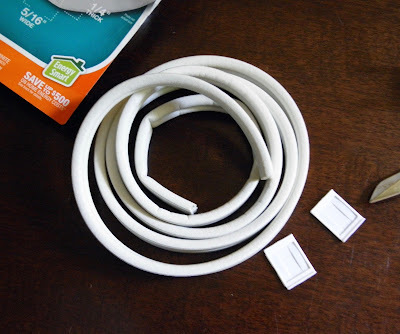 It comes in different widths and lengths, and is easy to install. 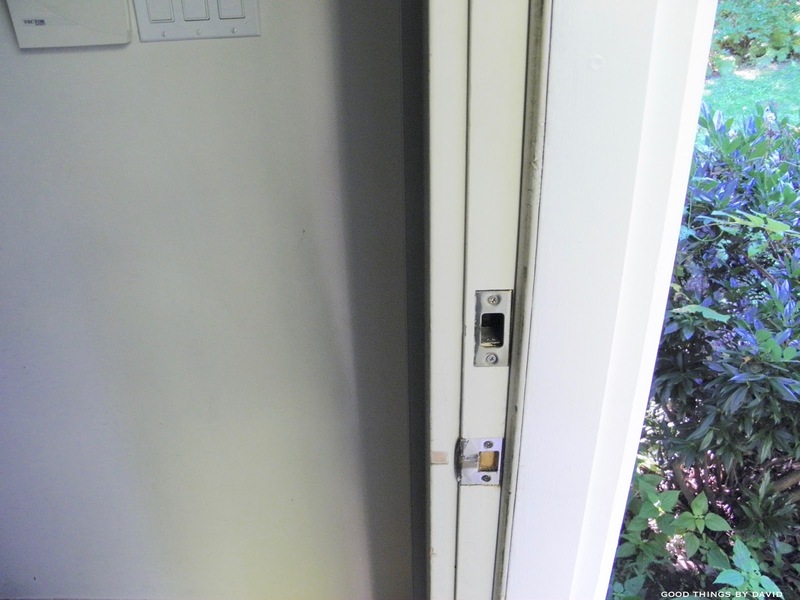 When you close a window that's properly sealed, you should feel that cushion clamp down when you lock the window. No more drafts! Upon inspection of our front doorway, we found that the weather stripping was completely shot, and we also noticed that the door had shifted over the years. That bottom metal door frame needed to be adjusted by about a centimeter to lock the door closer to the door jamb. 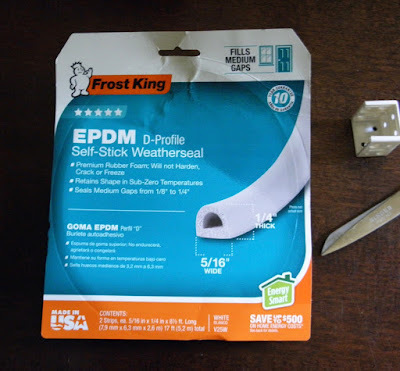 This minor adjustment and the installation of new weather stripping has made a huge amount of difference. We no longer feel a draft in the center hall of our colonial. 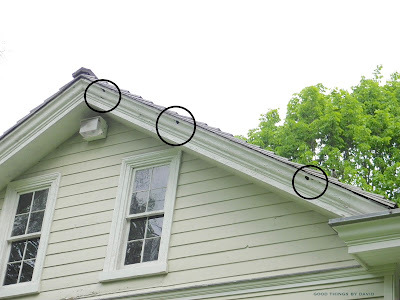 Make an inspection of the gutters, shingles and roofline of your home. Our home has two styles of gutters. The front and back rooflines of the colonial have enclosed gutters which don't need to be cleaned. The annex, however, has exposed gutters which have to be cleaned on a yearly basis. 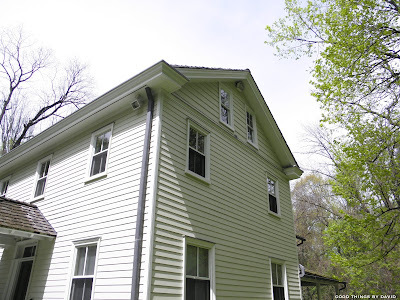 Do you see those holes along the roofline by the attic? They were made by eager woodpeckers over the years, so we had to do something about it. Leaving something like this unattended can create problems once it begins to snow in the winter. 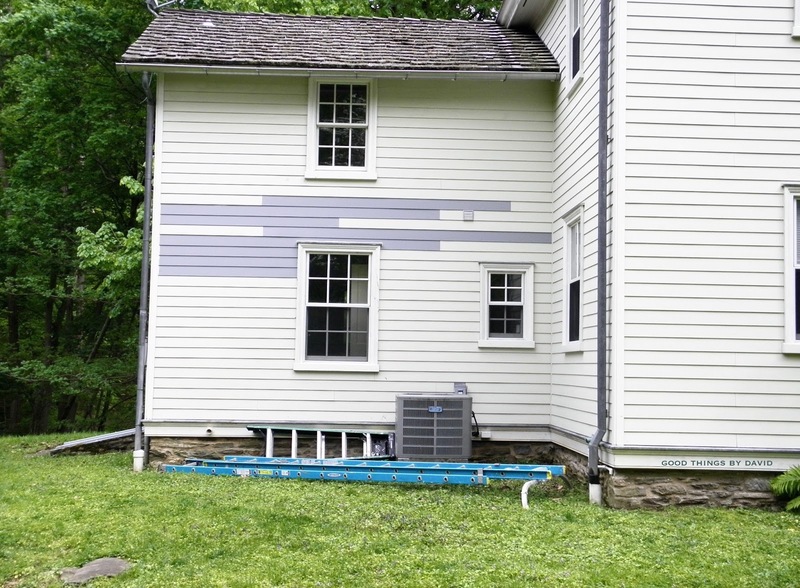 Another thing we did was replace some damaged siding along the annex of the home (this was then painted to match the rest of the house). Don't forget to cover your air conditioning unit once you stop using it, to keep it free of leaves in the fall and of snow in the winter! 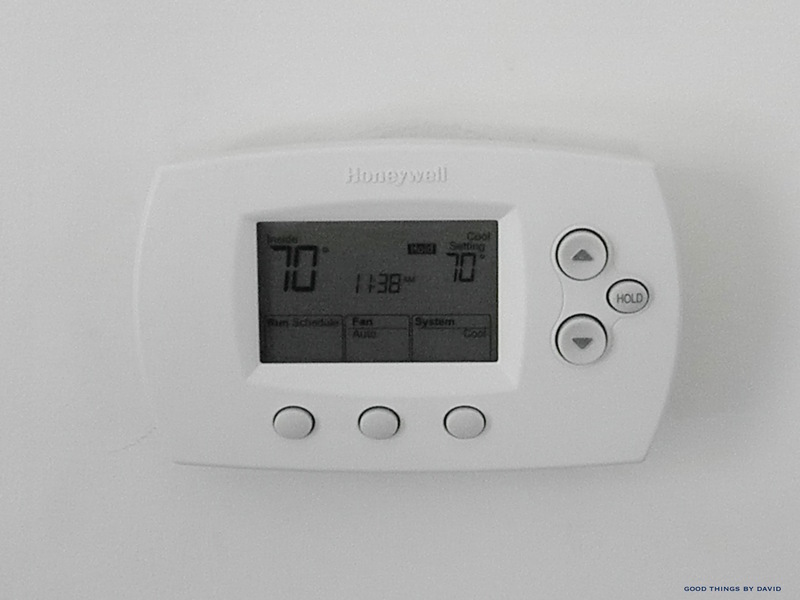 A good thermostat is very important. Keep the ambient air in your home at a certain temperature during the day and then change it in the evening before going to bed. If you're away, program it so that it can be done automatically. This alone can save your household a good amount of energy. My kitties love to snuggle up in their beds or lie down on a warm blanket for a quick nap. 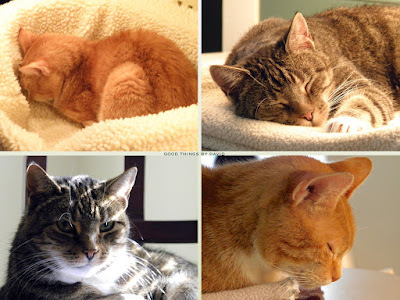 No matter where they are in our home, they are never cold or uncomfortable in the Fall or Winter. I hope that all of you begin to make the necessary preparations in and around your home for the months ahead. These are all tasks that can be accomplished in the coming weeks, and most of them can be done by the handy member of your household. 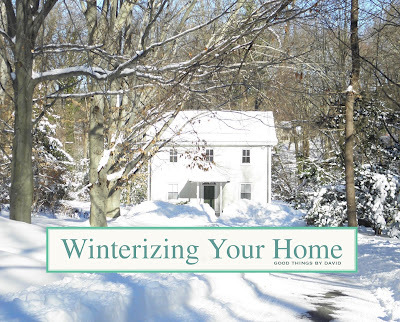 Saving energy, keeping one's family warm in the cold months and having a home primed for inclement weather, are all touchstones of good homekeeping. 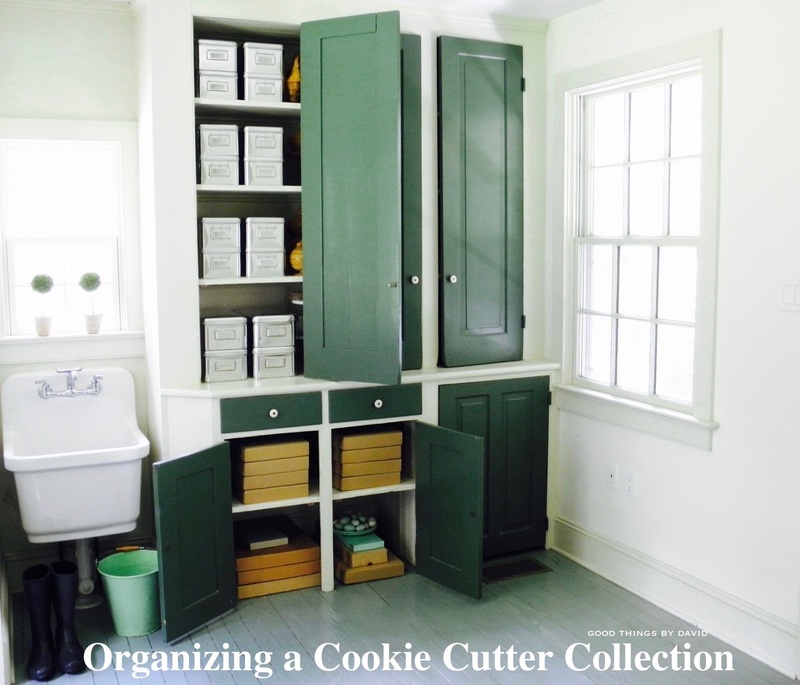 Organizing a cookie cutter collection irrespective of its size, doesn't have to be a daunting task. 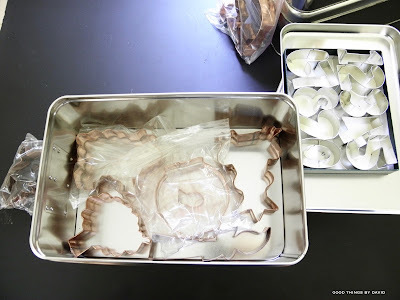 As long as you have some organizing bins or containers from your favorite housewares store or office supply source, assembling cookie cutters into groups based on style or season, is as easy as 1-2-3. 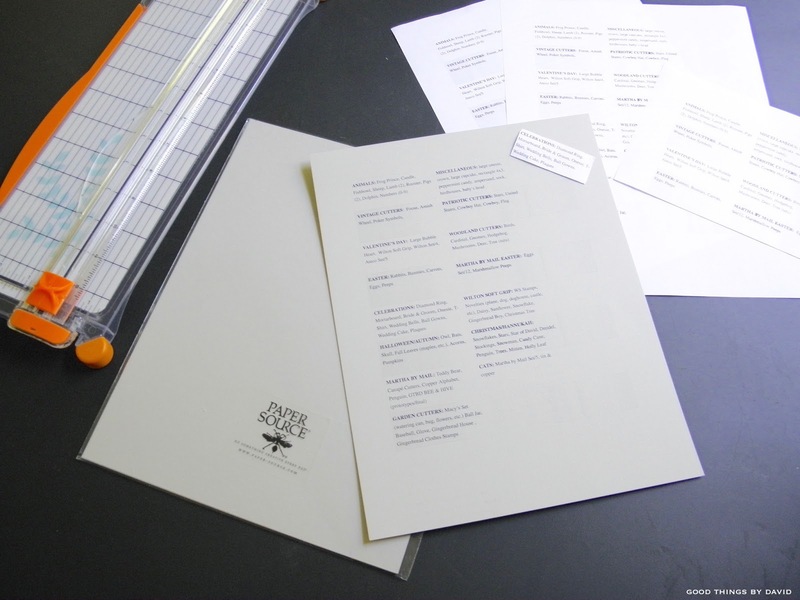 Whether you hand-write labels or create some using a software program, do make sure that every cookie cutter is accounted for. 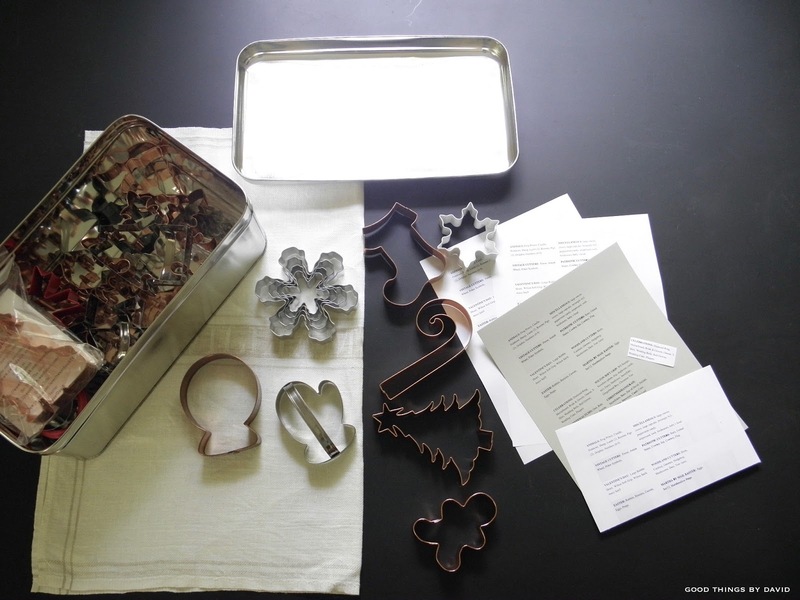 Locating a particular shape for your next baking project will be much easier this way. Choosing a location to keep these kitchen tools handy and in one place is something else to carefully consider. In my mudroom located in the annex of our home, I have a set of built-in shelves which house my home office. Click here to read that post in case you missed it a few years ago. 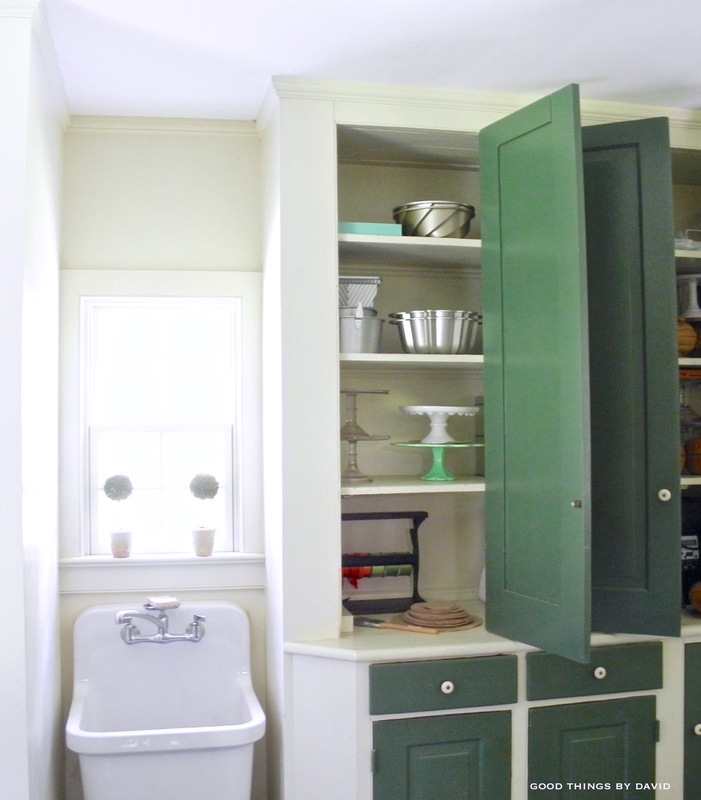 As you can see, this cabinet had a hodgepodge of items, ranging from cake stands and baking pans, to felt rounds and spools of ribbon. After careful consideration and a little bit of planning, I turned this neglected area of cabinets, next to my office, into a one-stop area for cookie cutters. You have no idea how much better I feel about having my collection all in one space, rather than having it scattered between the kitchen and the attic. I no longer have to climb the winder steps in the annex to get my giant Martha by Mail cookie cutters or some of the others that aren't in the kitchen. This photo from last year shows you the very rudimentary classification of some of my cookie cutters that I had been dealing with. After purchasing a few dozen from a very dear friend of mine, I had to put them into containers. 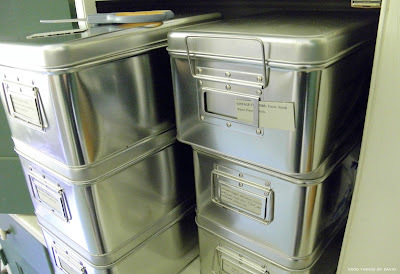 During that time I hand wrote what was in each of my storage tins without giving it much thought. I simply wanted to put everything away without creating too much of a fuss. I found it frustrating and irritating not knowing where certain cutters were when I needed them, so a few weeks ago I took a weekend to organize everything. The first order of business was to group all of the cookie cutters by season and style, and then place them into sturdy containers. I've repurposed these Martha by Mail stackable storage tins so many times, because they are versatile and great for organizing. Plus, they look so good no matter where I put them, and they've held up extremely well over the years. 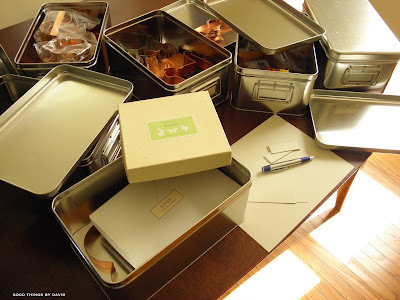 Cookie cutters are carefully layered into my storage tins as flat as possible. I don't like to cram anything into a container because this may damage the cutters. It's a good thing to keep cookie cutter sets together, especially those which may have an extra-small cutter. These two-piece cookie cutters should get placed into zip-top bags. Easy! The second thing to do is to type out the cookie cutters within each group. The label holders of the stackable storage tins (if you have any) get measured, and those measurements are then transferred into a word processing page to create precise cells. I could have printed out and cut everything onto regular white printer paper, but Paper Source has such a nice array of colorful papers, so I used their cement-colored card stock. For this type of project it is perfect. After a few trial runs, cut everything using a straight edge cutter, and make sure that they are a good fit for your storage containers. 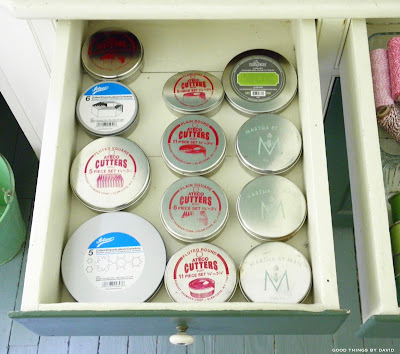 One thing about the label holders of the stackable storage tins: they have a bit of wiggle room in there and you may find your label sinking a bit once you place it inside. Here's a quick solution to that problem. Add a blank cut out label to the label holder, before adding the printed label. This will give it the support it needs so that it doesn't sink down. Your labels will look perfect. A stack of sixteen containers filled with cookie cutters is just what my shelves needed. I can now locate my Easter-themed cutters, Cat cookie cutters, Halloween and Christmas cookie cutters or the "Celebrations" cutters, among others, whenever I decide to plan my next cookie decorating project. On those lower shelves I have the large boxes of Martha by Mail sets, such as the complete Noah's Ark cutters, the Autumn Leaves, the Evergreens, the Beautiful Bugs and the giant eight inch cutters that are now classics. 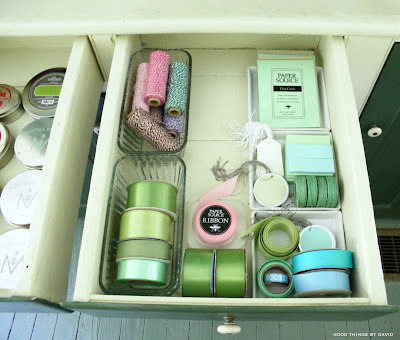 Oh, and those egg soaps sitting on the jadeite plate are also Martha by Mail. 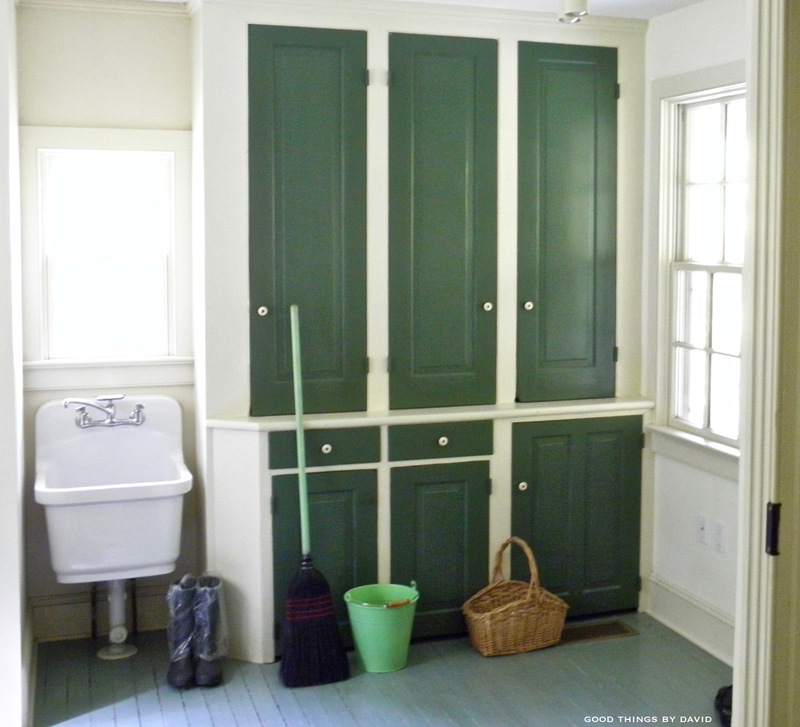 Those are used in the first-floor powder room. Last, but not least, are the two deep drawers located at hip level. They too have been put to good use. 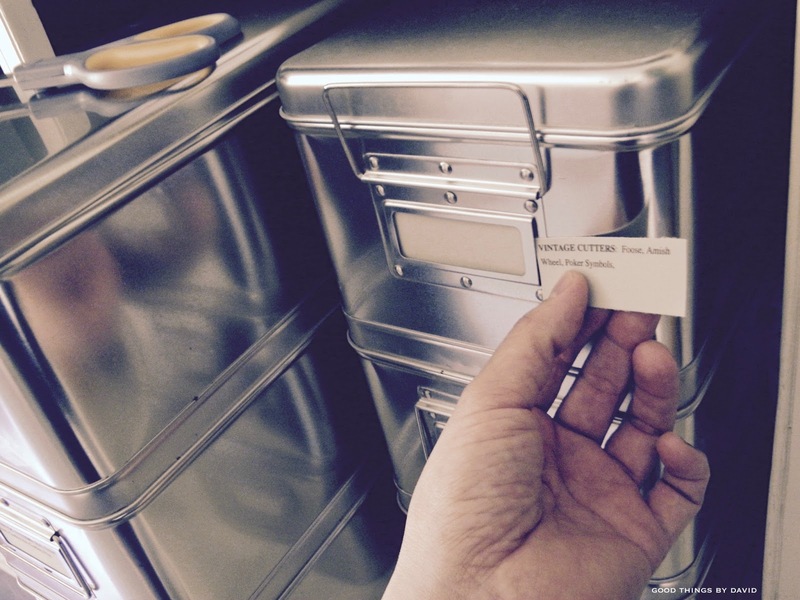 Graduated sets of Ateco and 'Martha by Mail Basics' cookie cutters are located in this drawer. I can't wait to use those snowflake cutters this winter to make Christmas cookies for my family. The drawer to the right has spools of ribbon, waxed linen twine, baker's twine, note cards, sticky notes and labels, so that I can wrap up and give out baked goods throughout the year. Having my growing collection of cookie cutters all organized in one area is going to make things so much easier for me. I feel like I can now breathe and relax knowing that everything is in its place. If your cookie cutters need to be wrangled and organized, take an idea or two from here and apply it to your own home. 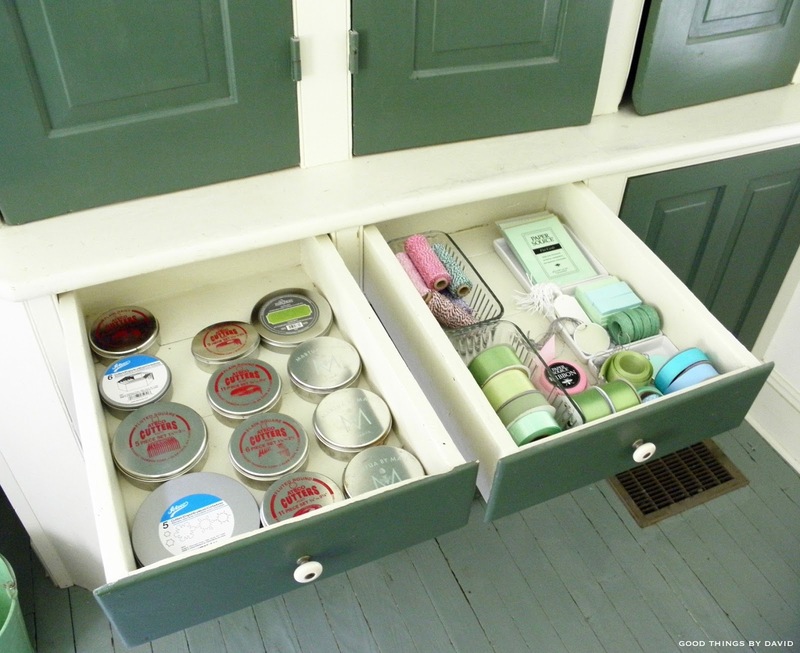 You may have an unused area or space which could house some cookie cutters on open shelving or in a hutch in the kitchen. 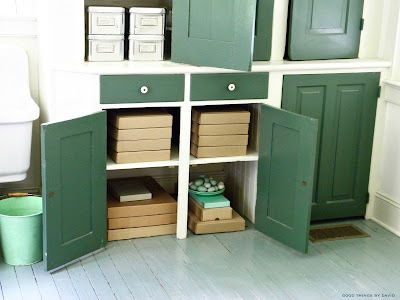 Perhaps it's time to repurpose an area like I did and give your treasured heirlooms their own dedicated space. You wouldn't think by looking at the photo of my mudroom (above) as an area which doubles as an office and cookie cutter pantry, would you? 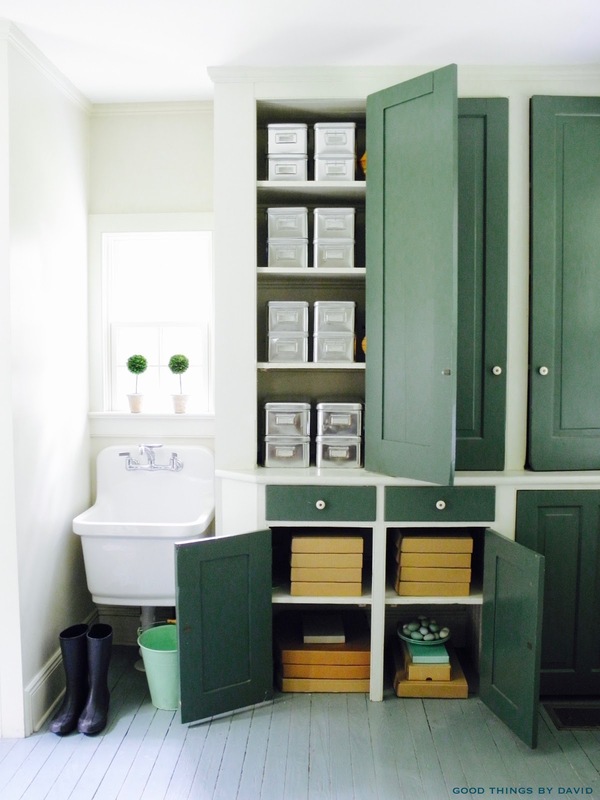 An organized cookie cutter pantry is a great thing for any baker's home.